The uptake of butter, it seems, is back with a vengeance. After years being at the brunt of bad press, Emily Ashworth looks at why the traditional farmhouse product is making a comeback. Rewind 30 years and the abundance of medical statistics surrounding butter were dire enough for consumers to turn their back on one of farming’s most traditional staple. Fast forward to 2016 and chefs, doctors and health fanatics throughout the country are rejoicing in new evidence to prove butter is back and ready to stand its ground as a vital part of our diets. 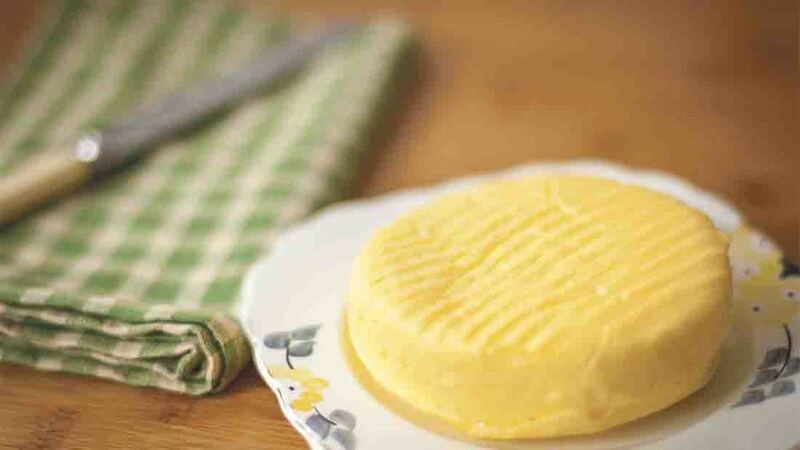 After a long running battle with margarine, a substitute highly recommended to the public during the 1980s by medical experts, butter is now being advocated as the must-eat product spelling good news for existing dairy producers. In 2015 alone, 15,000 tonnes of butter was consumed in the UK. Monthly production was up 16 per cent last November and according to DairyCo, contributing factors is the opening of Muller’s butter production plant in Shropshire in 2013 along with a drop in commodity oil prices meaning butter cost appeared more competitive. Riding the wave have been the dairy farmers who have diversified to help add value to their core product. Two such farmers tell their story. Fen Farm Dairy, Suffolk, is home to the UK’s only raw farm butter. 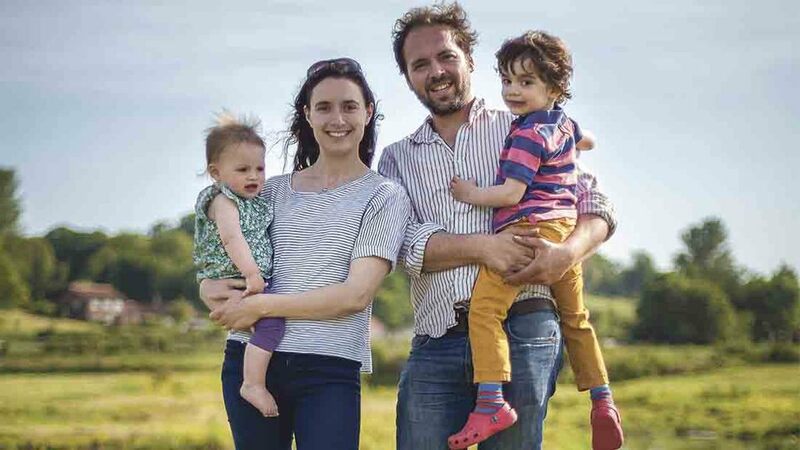 Jonny Crickmore runs the 384-hectare (950-acre) farm alongside his father Graham and found his way in to the raw butter business a year ago after wanting to expand the value of his milk and grow his products. 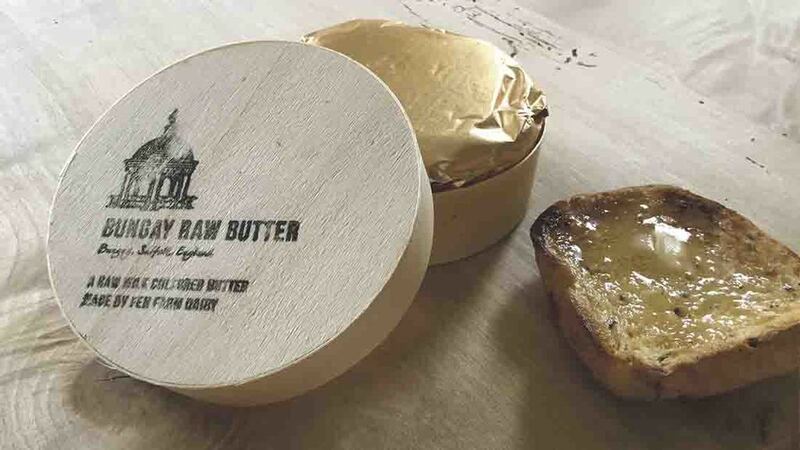 He says: “People were suggesting how lovely it would be to make butter and as we already sold raw milk, it seemed the right thing to do. After beginning with cheese three years ago, butter was a natural progression and Jonny’s aim was to produce a butter which was exceptionally good. “There was no point in making a product which you could easily go and buy off a shelf in the supermarket,” he says. The difference, he believes, between Fen Farm Dairy butter and many mainstream butters out there is the fact soured milk is used in the process, giving the end product a unique taste. Fen Farm Dairy consists of 300 pure and cross-bred Montbeliarde to Holstein cows and milk is taken straight from the parlour and placed in a cream separator. The farm typically uses 200 litres of cream, which translates into 100kg of butter per week. The milk produced in summer is preferred as the cows are outside grazing. Because of the grass they are fed, the result is a higher fat content which is needed for butter-making and the finished block is more yellow in colour. The product has made its way in to an array of delicatessen’s and shops including The Courtyard Dairy, in Settle, Yorkshire, and Neals Yard Dairy, in London, ranging from anywhere between £4.50 to £6 per butter block. Although they have only been selling their raw butter for just under a year, sales are good and Jonny accepts because nine parts of the milk used is not saleable, their product is more expensive. To be in the raw field is challenging though. To manufacture in this area, you need to have environmental health approval. There’s the testing for shelf life and pathogens and any sort of labelling must be discussed with your environmental health officer. Johnny believes there has been a noticeable shift in how the public view not just raw produce, but butter itself equalling an uptake in interest. The farm is soon going to start selling raw cream and they are already selling raw milk vending machines. When asked why they ventured into the raw milk market, Johnny credits customer awareness. “All of a sudden everybody seems to know what raw produce is. “It feels like it gives us as dairy farmers a little power and control back – you have a say in your product and how you sell it. 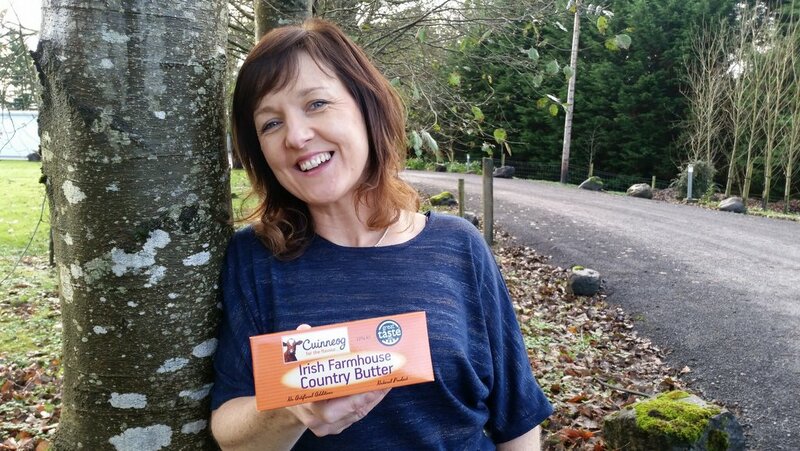 Cuinneog, Irish Farmhouse Country butter and natural buttermilk, was originally set up in 1989 by Breda Butler’s parents, in their home, for the simple reason of loving the taste of butter. After going to college and following her own path, Breda went back to Co Mayo 10 years ago, before taking over the business in 2014 after her father passed away. Over the years, the company has had to move out of the kitchen and convert the garage next to the house into a dairy, but the whole set up is still very much a family-based business with her mum Sheila still involved in managing the paperwork. With the popularity of butter rapidly expanding, Breda believes you need to have a certain uniqueness about your product. “We have kept our process traditional and make it in the way it would have been when it was first made,” says Breda. “It’s the fermenting element which sets us apart. The milk is sourced from various farmers but it is imperative, says Breda it is local and the amount ordered differs from week to week depending on customer request. The company makes the butter to order and schedule processing around demand. They have managed to secure spots all over including major retailers such as Tesco (nationwide), Supervalu and can be found in Fallon and Byrne, an award-winning food hall and restaurant in Dublin. Originally, Breda and her husband travelled around the country in a refrigerated van, taking their butter straight to retailers and potential customers. “Our thought process behind this was if we could get them to try it, they would buy it. Cuinneog offers food tastings as well as being present at food fayres in order to elevate awareness around its produce, but it is only recently the company has taken to social media. Having more of an online presence has allowed them, much to Breda’s fascination, to connect with all sorts of people and from outside of Ireland too. Cuinneog are quite isolated and initially shipping arrangements were hard, but by word of mouth – which is extremely important according to Breda – and by going social, their audience has expanded. And, over the last six years, there has been a big increase in sales. “People started out eating butter and then it got a good bashing. “Now there’s been a huge turnaround and people are interested in who makes their food and where it comes from. “We’ve had our ups and downs but my dad used to say ‘A problem is not a problem but a challenge’ and it’s something I say to myself every day. I know we have a good product. Consistency, says Breda, is something she would emphasise because flavour can change. For example, the taste of milk changes if cows are grass-fed and will affect the depth of the butter.